Years in the making, we had the opportunity to go on the final walkthrough of The Quinn. A residential community in the Grandview area, it is a destination spot in an up-and-coming part of town for young professionals. The Quinn creates a sense of community among its residents and bring more foot-traffic to the neighboring businesses. The Quinn will be a popular spot due to its upscale amenities and multi-unit options, including micro-units, studio units, and one bedroom units all catered toward millennials. 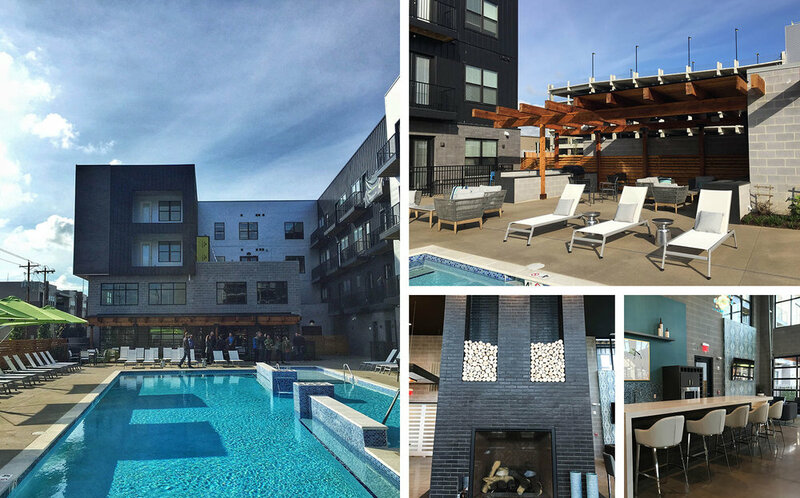 On the final walkthrough, we had the opportunity to see all the amenities in person; private pool, outdoor grill stations, a clubhouse lounge, yoga studio, conference rooms, fitness centers, bike repair center, and much more. The pedestrian-oriented design is incorporated into the façade of the building along Pico and the community room. The public gathering spaces from the private pool to the clubhouse lounge creates a desire to meet neighbors and socialize in the area.